Three (3) Year Extended Lithium Ion Tool Warranty on certain products. Follow this link for more information. 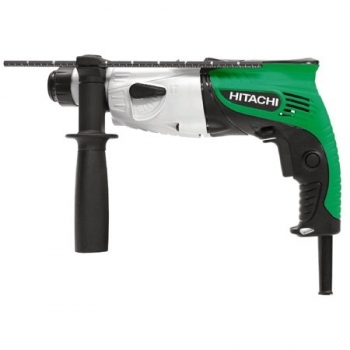 Compact yet powerful 2-function SDS+ drill with depth stop, side handle and soft-grip handle. DH22PG, side handle and carry case. Max. drilling capacity in masonry 22mm, wood 24mm, steel 13mm. Max. impact energy 1.4J. Includes plug. Weight 1.9kg.